Meet the IK Multimedia iRig HD 2: a digital guitar interface that lets you combine your musical instrument with your iOS or Mac device to produce music like a pro. It has a 1/4″ output jack for live performance. There is also a 1/8″ headphone output for silent practice. The device offers full 24-bit, 96 kHz input and output. 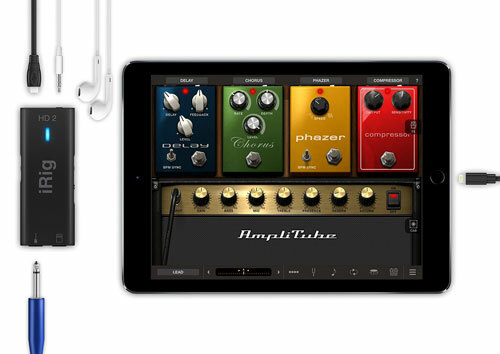 The kit includes AmpliTube 4 for Mac and AmpliTube for iOS devices. Just connect your guitar, bass, and other instruments, and you are ready to go. Ships for under $100.